Officially licensed Texas Chainsaw Massacre - Leatherface 1974 Grandma Mask, sculpted by Connor Deless. This mask is based on promo backlot images and the door scene of Leatherface in the 1974 Horror Classic, The Texas Chainsaw Massacre. 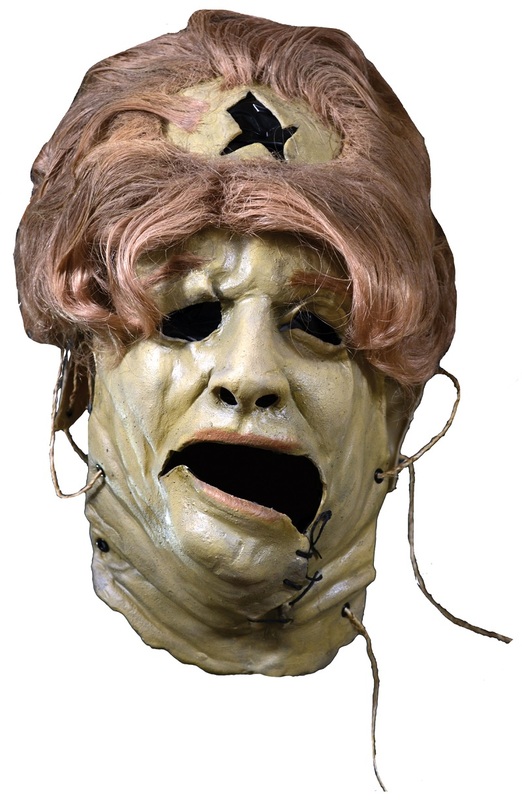 Every detail of Leatherface's ''Grandma'' is captured in this amazing full over the head latex mask.